It hasn't been all that long since we came here on our first visit, but after spotting this review this morning, we had to go back. Unfortunately they aren't serving pizzas for lunch, yet. 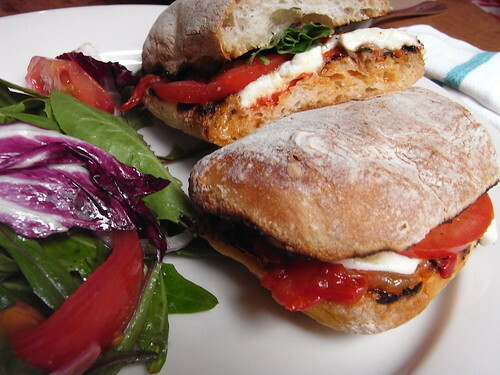 But the paninis were on soft, warm ciabattas, and really quite nice. I haven't visited for a while but I never fail to enjoy your food photos. Everything looks so tasty! You girls either have incredibly high metabolisms or you work out like maniacs. I don't know how you eat as much carbs, my fave, as you do. I've had to go on a low carb nutrition plan to slim down. It isn't too bad until I see the lovely bread you enjoy on some of these sandwiches.